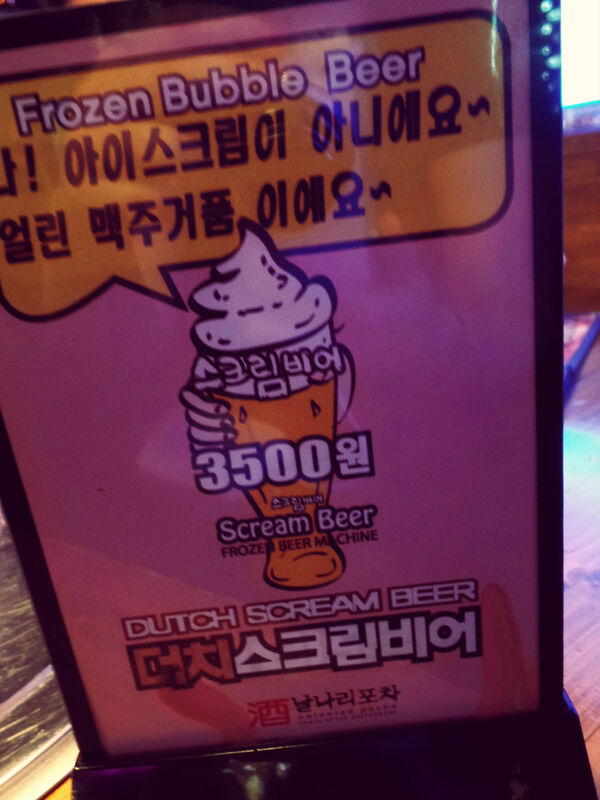 I probably would not have done a review of this fantabulous summertime treat but I see it popping up all over my Seoul neighborhood and I wanted to encourage you to try it. I had this bad boy on the last night of my Jeju vacation. I might have had a couple, I can’t remember. I wanted something cold and refreshing and this just sounded weird enough for me. 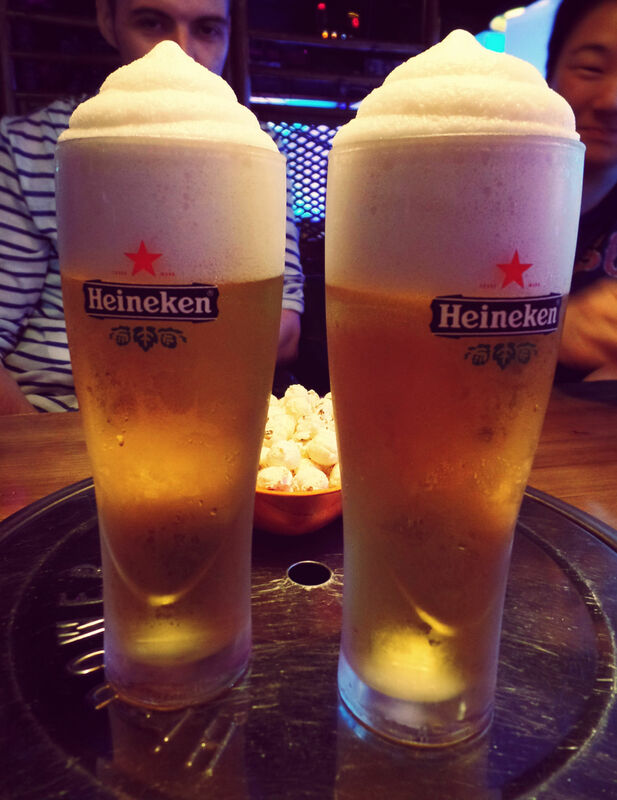 It is regular beer with a frothy, icy, lemon flavored foam on top that tastes like beer shaved ice. It is a Willy Wonka Wonderful adult treat right up there with Lobster Mac + Cheese or Game of Thrones. If you happen across a place selling these, as we are still in the twilight of summer, give it a whirl. I think the appeal will wear off when it is bone chilling cold outside!